@Annie C Just found this pic on FB. A Dutch photographer has been roaming the world celebrating indigenous cultures. This family are from Derby. I think the photo is exquisitely beautiful....as long as the people in it do not feel exploited. 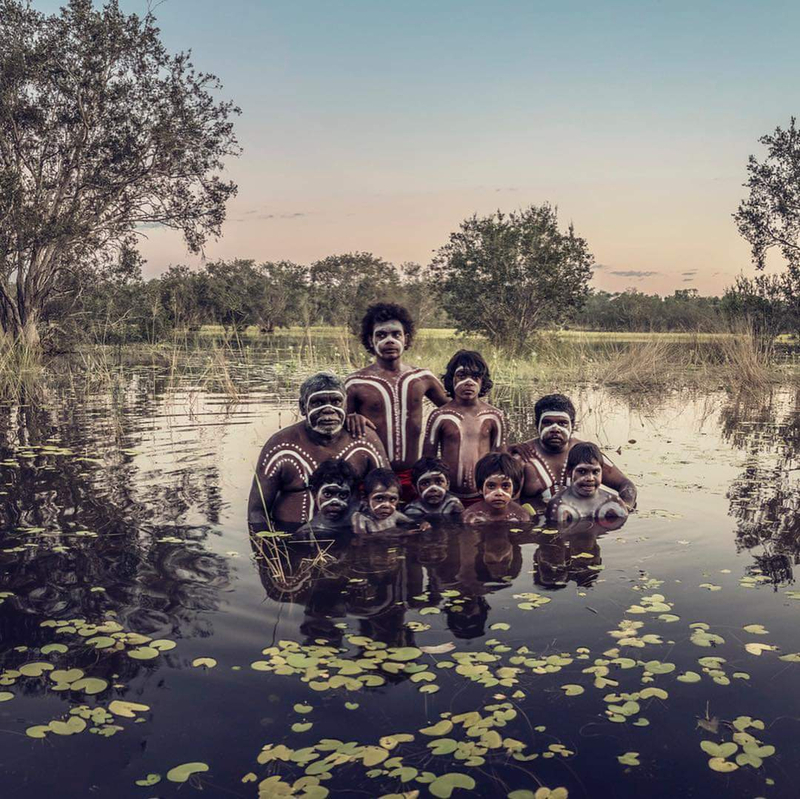 The people in the photo are the Mowanjum Dance Group. The photo was taken out at Munkayjarra. If it is the Dutch photographer I am thinking of she was in town about a year ago for the Boab Festival. 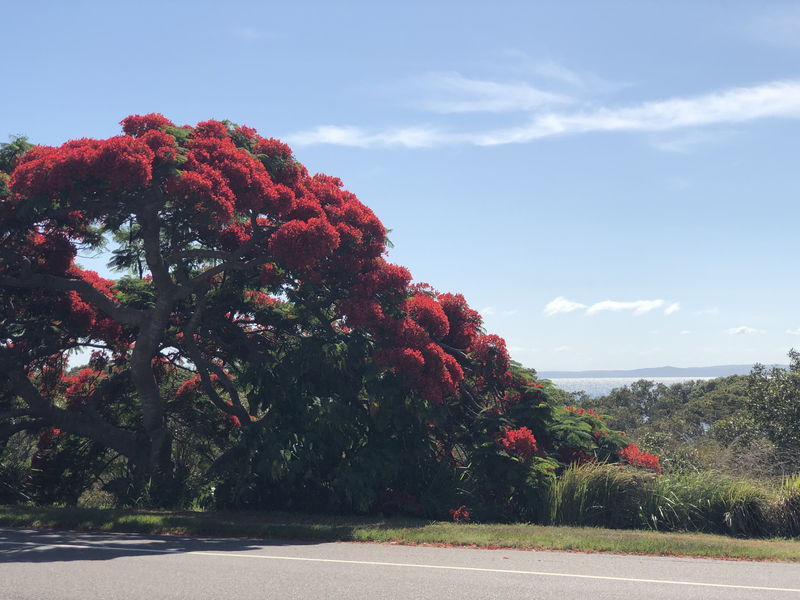 I think that poinciana trees in full bloom are the most regal of trees. We have a dozen on our block of various heights and ages. I am still planting more. Your photo does justice to the tree. A most stunning photo. 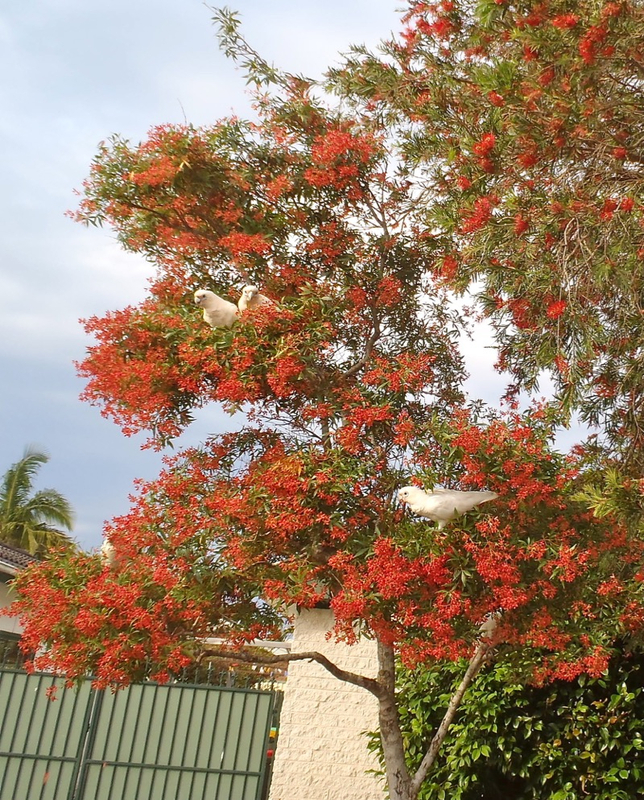 I rather liked this Xmas Bush from last year .... we now have 3 in our back yard, but they are babies!! Thanks @Mjheke and @arpie for the beautiful tree photos. I love the hint of water and mountains behind the poinciana. Found him, the noisy big thing! This peacock has been wandering around the town for years and years. It seems he is suffering greatly from lack of female company and spends half the night calling mournfully for a mate. 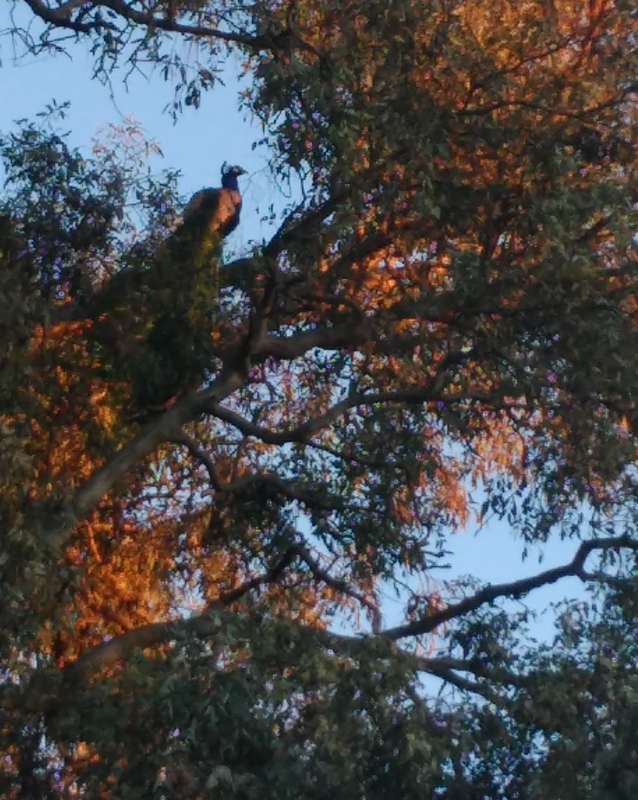 Sorry for the poor quality pic, but his lordship is perched at least 10m up in a huge gum tree down by the river and it was 6.00 am. His tail is truly spectacular--I have no idea how he gets off the ground given the volume of it, but he does. Gorgeous. I used to have a pied male, he was stunning, brilliant blue and white, and two hens. They are noisy buggers for sure. His name was Thumper because he used to run accross the roof of the house. The hens ran off to live in the bush but he stayed and took to terrorising on one of my Danes. The only thing I ever saw that dog scared of. He'd sit on the roof calling all night to the girls. It is quite amazing when they fly. Their call is one of the soundtracks of India. Native to that country, they're everywhere. A friend of mine worked at the Australian embassy in Delhi. There are several that wander the extensive grounds there. My friend told me they're all called Andrew. They used to have some at the local caravan park/post office which is on a main Hills road. A bit dicey at times when they went for a wander on the road. There is nothing wrong with Keith's eyesight tho!!! 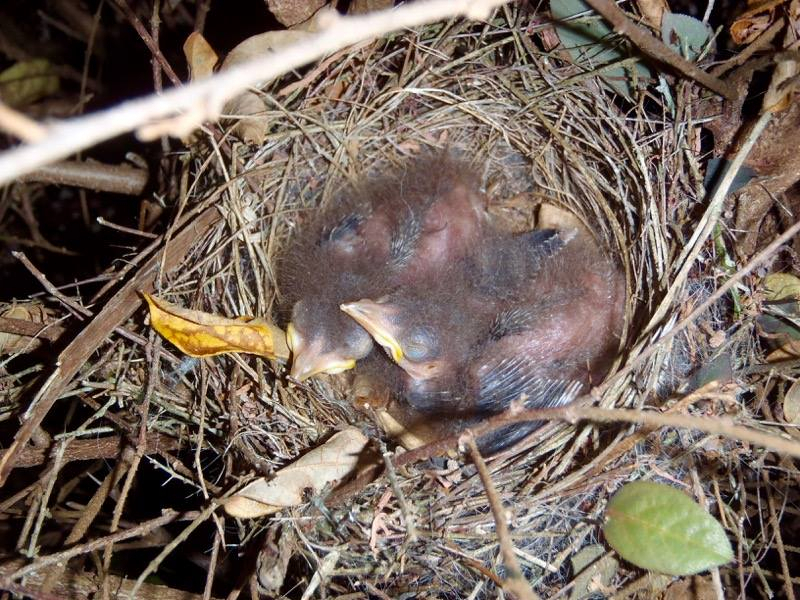 Last month, he spotted a bird going into a bush on our driveway & sure enough, it was a birds nest with chicks, but sadly, Kurrawongs got the chicks! 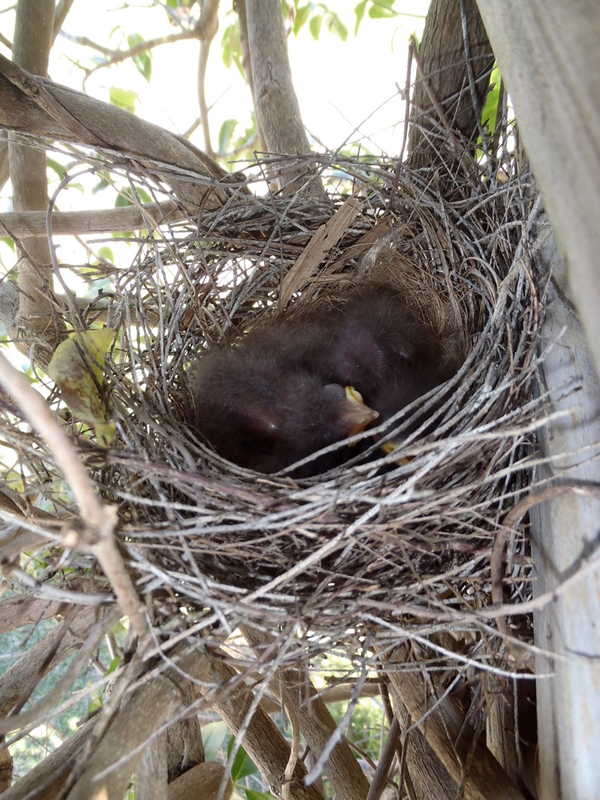 See how dense this foliage is & how sturdy the nest? Then yesterday, he said - they're at it again - they must have a new nest!! Compare the one above with this one! Hopefully these ones will survive to adulthood!